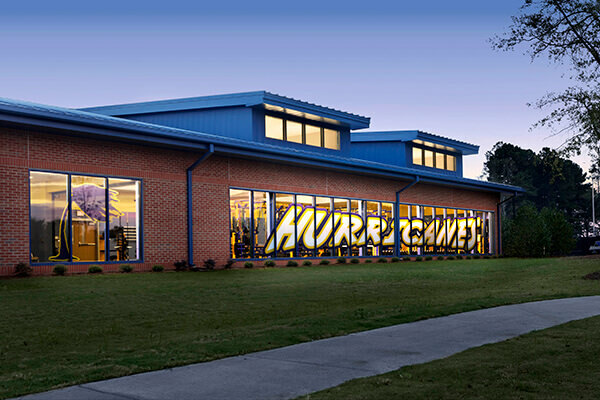 Craig Gaulden Davis has enjoyed a recent surge designing high school athletic buildings. 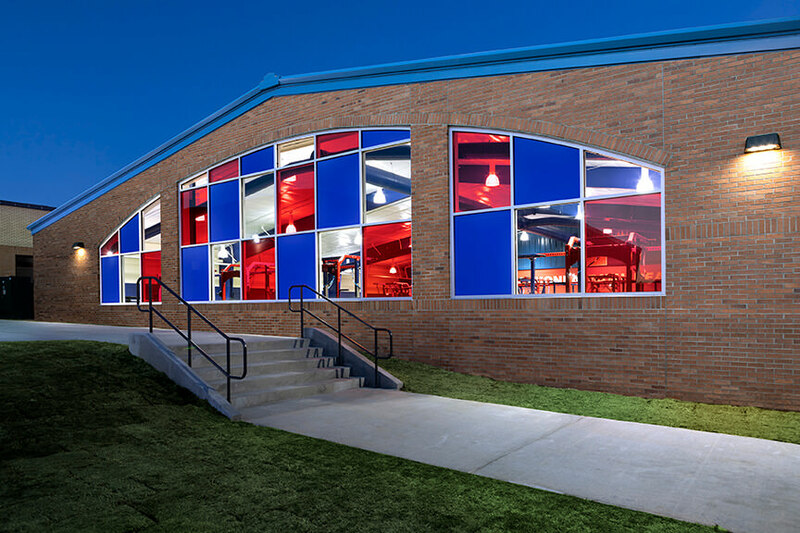 These aren’t the largest projects in the portfolio but they are fun, stand-alone buildings, with a relatively quick turn around, that act as the heart of many Upstate athletic programs. School colors on parade with mural sized mascot graphics keep team spirits high and uphold the long standing tradition of passionate interest in Upstate high school athletics. 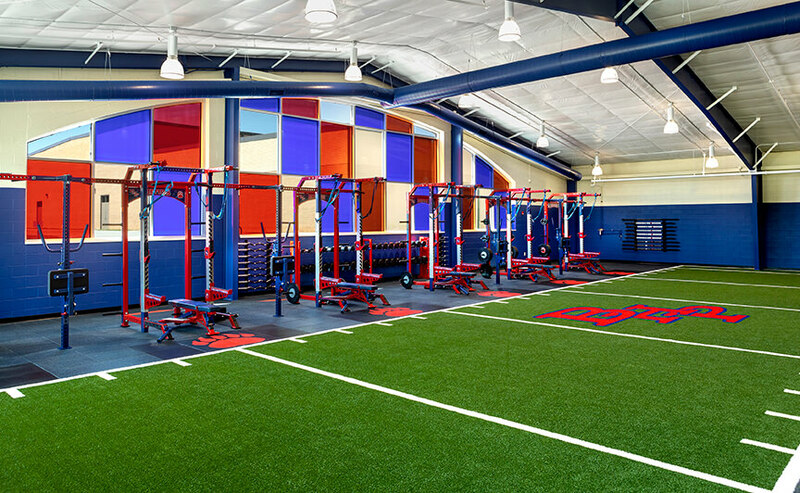 The Mustangs, Tigers, Hurricanes and Bears of Anderson County high schools have all been the recipients of new athletic buildings. 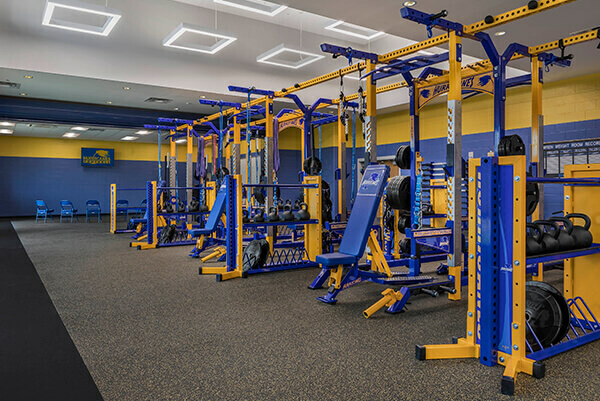 The Wren High School Hurricanes gained 11,950 square feet that includes a state-of-the-art weight room, training room, team room and lockers, as did Belton-Honea Path High School with 11,000 square feet and Crescent High School with 15,000 square feet. The Palmetto High School’s new 7,300 square feet of indoor turf will provide practice space for the cheerleader, football and wrestling programs. No excuse now for the upcoming season. We’re cheering for them all!